NEW YORK - Canadian innovator CarbonCure Technologies has been named one of ten finalists in the global $20 million NRG COSIA Carbon XPRIZE for its technology that profitably converts carbon dioxide (CO2) into stronger and greener concrete. Today’s announcement builds upon the growing industry accolades for CarbonCure’s global impact, including its recognition as the top ranked CO2 utilization solution by McKinsey Consulting and the Global CO2 Initiative, and its third consecutive listing among the Top 100 Global Cleantech companies by the Cleantech Group. The Carbon XPRIZE challenges competitors to convert CO2 emissions into valuable products, with the purpose of identifying the most scalable technologies to unlock massive CO2 reductions and economic opportunities. 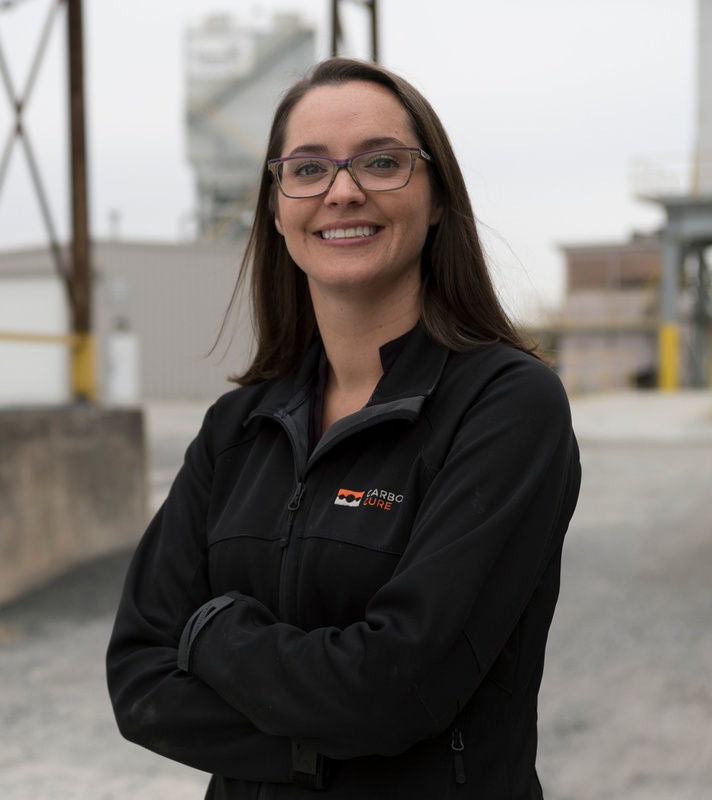 CarbonCure has been named one of five finalists in the Wyoming Track, which will focus on demonstrating technologies at a coal power plant in Gillette, Wyoming. An additional five finalists will compete in the Alberta Track for demonstration at a natural gas power plant in Calgary, Alberta. Team CarbonCure demonstrated its technology to various industry leaders in Alabama in January 2018. The ten finalists each receive $500,000 and will move on to the third and final round of the competition, where each will demonstrate its technology over a two-year period. Canada leads all nations with four teams in the final round. Three of the finalists hail from the United States, while the remaining teams represent India, China and the United Kingdom. One grand prize winner from each track will be announced in March 2020, and will receive $7.5 million USD in prize money. This year CarbonCure will celebrate its 100th concrete plant installation and millionth cubic yard of concrete that have contributed to meeting the sustainability goals of hundreds of construction projects across North America. Last month, CarbonCure achieved a historic milestone by successfully demonstrating the first integrated CO2 capture and reuse model within the cement and concrete industry, by using captured cement CO2 emissions for concrete production to supply a green building development in the Atlanta area. The team is excited for this next opportunity to replicate the model at the Wyoming Integrated Test Center using coal plant emissions. These projects are vitally important to demonstrate the viability to industry and regulators of a complete low-cost solution that profits each member of the supply chain - from the emitter to the concrete manufacturer and construction end user. CarbonCure’s XPRIZE team, led by CarbonCure's Executive Vice President Jennifer Wagner, is the only female-led team remaining in the competition. Team CarbonCure consists of leaders across the industry value chain, including cement and concrete producer Cementos Argos S.A., concrete producers Thomas Concrete and BURNCO Rock Products, industrial gas company Praxair, Inc., carbon capture innovator Sustainable Energy Solutions, engineering specialists Kline Consulting LLC, as well as many members of the design and construction community such as LS3P Architects, Uzun + Case Structural Engineering, and Walter P. Moore Structural Engineers. CarbonCure's XPRIZE team led by CarbonCure's Executive Vice President Jennifer Wagner, is the only female-led team remaining in the competition. CarbonCure is the world leader in CO2 utilization technologies for the cement and concrete sector. Its retrofit technology chemically mineralizes waste carbon dioxide during the concrete manufacturing process to make greener and stronger concrete. CarbonCure’s technology is being used by nearly 100 concrete producers today to reduce concrete’s carbon footprint, create new production cost savings and gain a competitive sales advantage. Concrete plants are retrofitted in a single day and require no CAPEX or changes to their materials and production practices. For more information, contact info@carboncure.com or visit www.carboncure.com. XPRIZE, a 501(c)(3) nonprofit, is the global leader in designing and implementing innovative competition models to solve the world’s grandest challenges. XPRIZE utilizes a unique combination of gamification, crowd-sourcing, incentive prize theory, and exponential technologies as a formula to make 10x (vs. 10%) impact in the grand challenge domains facing our world. XPRIZE’s philosophy is that—under the right circumstances— igniting rapid experimentation from a variety of diverse lenses is the most efficient and effective method to driving exponential impact and solutions to grand challenges. Active competitions include the $20M NRG COSIA Carbon XPRIZE, the $15M Global Learning XPRIZE, the $10M ANA Avatar XPRIZE, the $7M Shell Ocean Discovery XPRIZE, the $7M Barbara Bush Foundation Adult Literacy XPRIZE, the $5M IBM Watson AI XPRIZE, the $1.75M Water Abundance XPRIZE and the $1M Anu and Naveen Jain Women’s Safety XPRIZE. For more information, visit www.xprize.org. Christie Gamble, Director of Sales & Marketing at cgamble@carboncure.com.